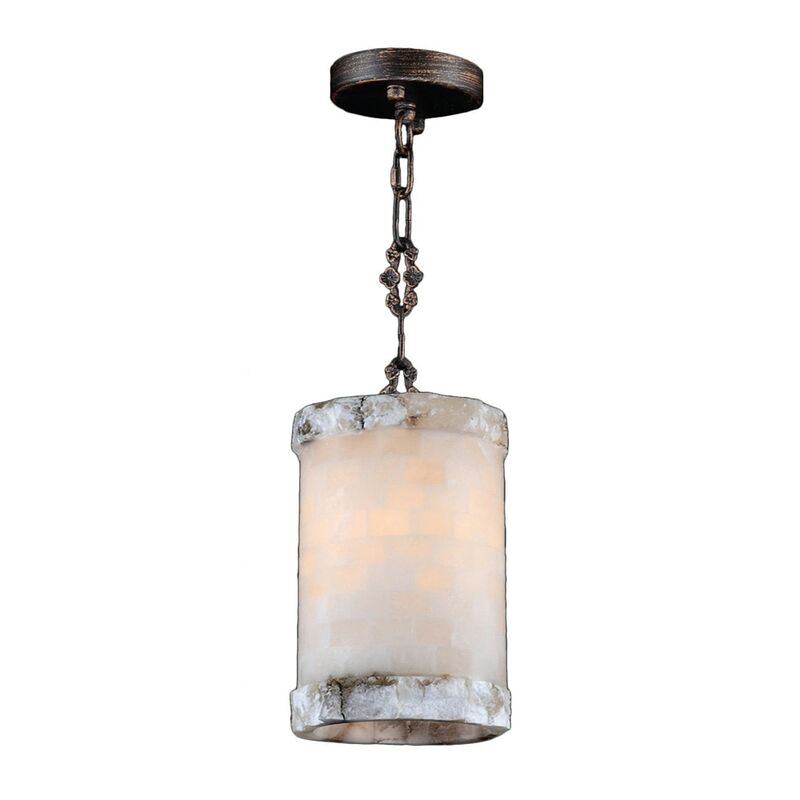 This stunning 1-light Quartz Rounded Mini-Pendant only uses the best quality material and workmanship ensuring a beautiful heirloom quality piece. Featuring a radiant Flemish Brass finish and natural quartz stone from Spain, this elegant quartz mini-pendant will liven up any room. The quartz stone used in this fixture is not mass produced. No synthetic process could replicate the natural beauty of this beautiful quartz mini-pendant. Worldwide Lighting Corporation headquartered in Hayward, California is a privately owned manufacturer of high quality crystal chandeliers, pendants, surface mounts, sconces and custom decorative lighting products for the residential, hospitality and commercial building markets. The master craftsmen and designer pride themselves on their attention to detail. The high quality crystals meet all standards of perfection, possessing lead oxide of 30% that is above industry standards. With over sixty years of combined experience in the lighting industry, they have produced quality illumination solutions that can be seen in prestigious homes, hotels, restaurants, casinos, and churches across the country. The mission is to enhance your lighting needs with exceptional quality fixtures at a reasonable price. Featuring a radiant Flemish Brass finish and Natural Quartz Stone, this elegant pendant will give life to any room when illuminated.